It was right after the 4th of July, 1971 I think, when I went to work for the Circle A. The Quarter Circle A if you want to be technical. Some call the brand the Compass A. Circle A’s good enough, it’s easier that way. I thought I was a pretty good cowboy. Ha, I was about to get my eyes open, big time. I was honorably discharged from the US Army in 1969 so my military obligation was behind me. I was 22. Young and in good health. Unemployed and about broke but foot loose and fancy free. I started out in Las Vegas, NV, picking up horse manure with a shovel and a wheelbarrow at the Twin Lakes Stables when I was about 10 years old. On Saturday night they would let me ride a horse for about an hour. My favorite horse was Shorty, they said he was an old ranch horse from up north. Wherever that was. My family moved to Carson City, NV, when I was 13 and when I was 15 I went to work for Nick Mansfield on the 102 ranch which was located about half way between Reno/Sparks and Fernley on Interstate 80. Nick was into endurance riding in a big way. I would successfully complete 3 of the famous Western States Trail Ride (the Tevis Cup) which was 100 miles in one day horseback. Two of Nick’s sons, Alan (Butch) and Dave (Pinky) were very instrumental in getting me started out in the right direction. Butch was probably 8 or 10 years older than me and Pink was 4 years older than me. When Butch was younger he cowboyed in the Gerlach, NV, area and was a good roper. When Pink was 16 he went on the Circle A wagon for the summer. He was a good bronc rider. He would use a snaffle bit with a mecate, throw the horse his head and spur him from the shoulders to the back. 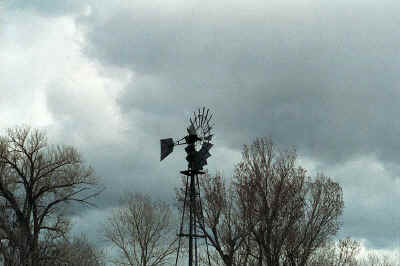 This was on the ranch, you don’t see that too often outside. I believe he said Ray Winter (any relation to Archie?) was the cow boss and a young good and up and coming hand named Brian Morris was there. I remember him talking about Romeo, String Bean, and Sweet Pea. He might have had some good stories about those horses for me to remember their names, but if that was the case, I have long since forgotten what he said. You know how you read and see on TV how those pro and Olympic champions would always be practicing when they were kids. Shooting the ball at a rim nailed to the side of the barn and dreaming those impossible dreams. I was kind of that way with a rope. I could throw the over the shoulder shot to the left, the over the shoulder to the right, the hoolihan (some call it the dude drop) behind me. I threw anything I could think of. I could take it over my head and parallel to the ground like the arena ropers or drop it to my side and go perpendicular to the ground like the outside guys. The only shots that I actually saw thrown were the straight ones made by the arena guys. I had no idea that the buckaroos were throwing everything I had made up and much more. One day when I was 20 I was feeling pretty cocky so I challenged Butch to a roping contest. I went first and he threw everything I threw. He missed a shot but I gave him the point as his technique was right. Then it was his turn. He threw a turn over loop, handed me the rope and grinned. “Don’t even try it,” he said as he walked off. “Hey wait a minute. Let me see that again.” He threw it 2 or 3 more times and left. I couldn’t figure that loop out. I saw him a couple of days later and he threw it some more. This went on for about a week, and then I finally figured it out. Truth be known, I hardly ever used the turn over, even to this day, maybe I’ll use it next spring now that I think about it. Actually you don’t see it that much. But the guys that do use it throw it a lot. All this sounds fine and dandy, but there were some very major flaws. I had never roped horseback, I didn’t know how to rope or handle cattle, and of course I had no idea about dallying and letting your turns run. I threw my old army sleeping bag in my car. I had a rough out Tex-Tan saddle with a 2² horn, a grazer bit with a short piece of leather for a rein, no headstall to go with it, a pair of cheap spurs, and whatever clothes I had. I also had a pair of cowboy boots and a felt hat. And that was my outfit when I hired out on the Circle A. Looking back on it, I was really dumb. Not only dumb but boarding on the insane. I would be embarrassed beyond words if I ever saw someone with an outfit like that try to hire on with one of the big outfits. Pinky had told me about the Gem Bar in Winnemucca so that is where I headed. Right when I got to the door it was opened by a cowboy that was coming out. “Do you know where I can find a cowboy job?” I asked. "Ya, I just left the Circle A. Go north about 22 miles and take the highway to the right that goes to Paradise Valley. Turn right at the Grayson Ranch and talk to Larry Hill, he’s the ranch boss. Brian Morris is the cow boss, but he stuck a knife in his left arm and he’s in the hospital.” Turns out that was Claude Dallas I was talking to. With Brian being hurt and Claude leaving, the wagon was kind of hurting for help. Larry looked at my outfit and sized me up in an instant. He never said anything, but I’m sure he was thinking that I wasn’t much but I was better than nothing. Brian could do with me as he pleased when he returned to the wagon. He gave me an old headstall for my grazer bit and took me about 90 miles north of the ranch to the wagon. They were camped at Calico. Stub Stanford and his wife Irene were in the wagon with Bruce (Waddie) Mitchell. She was doing the cooking and Stub and Brian had an agreement that if Stub would hang the meat at night, wrap it in the morning, and cut it up then he would not have to wrangle the cavvy. It was right after the fourth and Waddie had just got back from town, that was why he was not with the cowboys. He told me the first thing I needed to get was a good bedroll. Stub told him to take me and bring in some horses that were about 5 miles north of Calico, and that way the lead off man, Walt Fischer (they called him Fish) could cut me out a string. As we were trotting through the brush I noticed a survey marker, a metal T post that was about 2' high. And then a most unusual thing happened. The US Air Force used to use the Owyhee Desert for a practice area. B-52s would fly under 300¢, flying under radar it was called. The shadow from that bomber passed right over my horse and it scared him. He kind of jumped and kicked at it. Wow, I thought, I could have been bucked off by a low flying B-52 and impaled on a T post. And I haven’t even been on the job for an hour. The cowboys came trotting in a couple hours later. Their horses were all sweaty; they unsaddled them and threw their saddles on the ground and then turned the horses loose. Guess they don’t bother to cool them down I thought. Waddie introduced me around. Fish was a real tall lanky guy and was always lighting up an unfiltered Camel cigarette. Mitch McDougal was a high school kid. Earl Weeks rode an Association tree saddle. Brian was the boss, Fish was the lead off man, and I would say that Dan Fowler was the top hand. I think he was 19 at the time, and he could ride ’em and rope ’em. He was the classy buckaroo that you read and hear about. They all saw my Tex-Tan saddle, and I presume they figured I would be Brian’s problem. It didn’t take long for me to figure things out. Let’s face it, I was the weak link in that chain. I realized that I had the potential to be good, but the only way I could achieve that was to not get fired. So I simply made it a point to outwork everyone. I always volunteered to wrangle the horses; I would help Stub with the meat; if Irene needed water I would get it. We had a small overnight corral that we would sometimes use. If we were going to be horseback while it was still dark the next morning, we would catch horses the night before, and I would be sure to feed them in the corral. Right from the git go they were all nice to me. I was never afraid to admit that I didn’t know, and I was always asking questions. The Circle A had big corrals that we would brand in. Long ropes, big loops, and slick horns. Everything was headed and heeled. When I was dallying on that little 2" horn I would scrape the knuckles on my right hand against the rope. They would start bleeding. They would scab over, and then when we branded again they would start bleeding again. The index finger was the worst, but they all bled right down to the little finger. I don’t recall anyone using gloves when they roped. I was the only one dumb enough to hold the rope tight in my hand and get rope burned. They all had calluses on their little finger from dallying and letting their turns run. Is that a good way to learn how to rope and handle cattle? Probably not, but that is the school that I went to. I will say this for heading and heeling outside. It makes good rope horses and good cowboys. About two weeks later Brian returned, and by that time I was known as a hard worker, not quite yet good, but always improving. It turned out that Brian and I got along great. That friendship lasted until the day he died. It is still unbelievable to me, but as good a wagon as Brian ran, there was a high turn over rate. That was true on all the big outfits. I guess we all assumed that the grass was greener on the other side. Of course the bosses didn’t like it, but as long as you left in a gentlemanly manner you could always get hired back. For instance, here is what happened on the wagon between July 4th and Labor Day. Stub and Irene took a job on a smaller ranch in Paradise Valley. I don’t remember why Earl packed it up. Mitch had to go back to school. Waddie had to fulfill his military obligation with Uncle Sam. Danny went to the Jordan Valley area as he was in love. When things got desperate, Brian’s younger brother, Clark, and their dad, Nate, would come to the wagon. All the Morris boys could cowboy and cook, two very important talents to have on a buckaroo wagon. Turned out that Archie was married and had a family. I thought it was kind of strange that he would leave his family and be on the wagon with us. So I asked him about it. He never said too much about his family but my recollection is that his son was grown and his wife understood the old cowboy in him still had to get out. He said that he had a job but he had met Brian once in town, knew that Brian ran a good wagon, and he just wanted to go buckarooing again. At that time Velma (Wild Horse Annie) Johnston, was coming into power. I’m not going to go into the mustang and the BLM thing. Suffice it to say, I don’t agree with all that went on, but Annie did have some valid reasons for doing what she did. Some years before I arrived on the desert, the BLM fenced the perimeters of the big outfits. The Circle A, Petan (YP), Ellison’s Spanish Ranch and Squaw Valley, and the Allied Land and Livestock (the IL today) all bordered on the Owhyee Desert. Stanley Ellison probably saw the big picture better than the rest. Nobody wanted to eliminate the mustangs but they all knew that those horses would soon become overpopulated. It was agreed to have horse round ups before the fences were put in. What horses Ellison didn’t catch they would run from the high country down onto the desert of the Circle A and Allied. The fences would be put in and Ellison was ahead of the game for the mustangs, for the time being that is. For many years the cowboy kept the mustang population under control by running them. Instead of putting them out for “adoption” they would sell the better ones, chicken feed the older ones, and leave a breeding herd behind. That was the situation as explained to me in the early 70s. So what did we do about it? We tried to keep the numbers down. We were camped again at Calico, and Brian wanted to run some horses the next day. The plan was that while it was still dark he would haul one cowboy about 10 miles to the south and he would start those horses and run them north to another cowboy that would relay them in turn and eventually the mustangs would run in with a parada that we would have hidden in a draw. Archie and I were with the parada. (Look parada up--I always thought it was prada or pratha. Bear in mind--mecate, macate, McCarthy, McCarty. Do you get my drift?) The parada, as we used it, was made up of 8 or 10 fast horses. The idea being that those horses were kept from site and the mustangs driven into them. All the horses would mix and as the parada was used to being handled and knew where camp was, they would go there with the mustangs going along with them. Did it work? No, something went wrong. One of the relay guys got too anxious and those horses turned. Another thing that might have happened was the mustangs might have spotted the parada. The parada was always moving, either they wanted to go back to camp or they would graze on the side of the hill and get too high. It wasn’t that easy for 3 of us to keep them low and out of sight. Having failed that mission we went back to riding and roping. During that period Archie helped me a lot. When Labor Day came I went to Winnemucca and bought a 55-foot medium lay nylon, a snaffle bit, and a horsetail mecate. Don’t ever use horsetail, it’s too stiff and in the winter it will get wet and freeze and be as stiff as a steel cable. I also picked up a tarp and made a half decent bedroll. I came from Carson City and Brian told me about a saddle maker in Reno that made good saddles. I went to Bill Maloy and ordered a 5/8 single rig, high cantle with a Cheyenne roll, post horn with smooth side out latigo. I had custom rose and petals carved in the stirrup leathers. Monel stirrups, don’t let anybody tell you that Monel stirrups won’t break. Cost of one custom built buckaroo saddle--$400.00. Buckaroo wages--$250.00 a month. While I was in Reno I left that Tex-Tan saddle with Bill and I borrowed Pink’s Visalia saddle and a nice bridle. When I say Archie me helped a lot--it was the little things. The basics. “Make bigger coils, that way you’re not holding so much rope in your left hand. Don’t look at your horn, as long as you are sitting up straight that horn is right where it is supposed to be. I don’t care what saddle you’re riding, your hand will find that horn. Use baling wire for a burner, there’s plenty of it and it’s cheap. Never tie a knot in the end of your rope. Electric tape and melt it. Your rope is going to get scorched. With that smooth side out latigo you’ll hear it whizzing and sometimes you’ll smell it burning. Live with it. When the one end gets too scorched and worn out, tie your hondo in the other end.” Tips on shoeing horses, how different outfits caught their horses. He was never bossy, he just explained it and left it up to me to figure out what worked or didn’t work for me. Brian and Clark were the same way. Clark could really rope with a big loop. I always heard they could both ride a rough horse. Speaking of rough horses and great bronc rides. Yes, they happened, but not as often as everyone likes to think. It was usually fast and furious. Either cowboy or horse might win. Quite often the entire crew would not see it, only hear about it unless it happened the first thing in the morning when everyone was there. One day in September we finished branding and Brian said, “Well that’s our 8,000 calves we’re supposed to brand. Tomorrow we’ll go fishing, and the next day we’ll run those horses again. We won’t use a parada, we’ll rope them.” To this day I don’t know whatever happened to our fishing expedition. Maybe it was due to the fact that we were sitting in the middle of the Owyhee Desert, so instead of fishing we shod horses. How’s that for a completely different way to spend the day? I narrowed my choice of what horse to ride down to two. Eight Ball was 7/8s thoroughbred and a speedster. Bingo, on the other hand, wasn’t quite as fast but he was tougher. Decisions, decisions. I was leaning towards Eight Ball as the whole object was to run them down and rope them. “No”, Archie said, “stay with Bingo. That speed will only last for so long”. Wouldn’t you know it, but the next morning when Brian roped Bingo there was a front shoe missing. I tacked one on real quick and away we went. We were camped at Little Owyhee but the plan was basically the same, relay those horses for about 10 miles and instead of running them into a parada, they would charge into waiting cowboys with built loops. Archie and I were two of the ropers. I jumped a nice looking little mare and instead of roping her right then and there I got into the chase and let her start up a small hill. She started to veer to the right so I dropped my hand and made a side shot on her. When she felt that rope it was like she was hit with a shot of adrenaline. She went straight down the hill and Bingo was just starting to veer to the right. If I would have dallied the chances were that she would jerk us over. I committed the ultimate foul--I lost my rope. I don’t know how Archie got to where he was at but I watched him run down a two year old black stud that was running right at me. He roped him around the neck, jerked his slack, dallied, and stopped him just as pretty as you please. He made it look so easy. I then watched my little mare with my rope disappear in the same direction that they had come from. By the time I got to where I had last seen her I could see her way off in the distance, just about to drop down a small canyon and go out of sight, and still running. I put Bingo into a higher gear, and it was give and take for about an hour. Remember, those horses had been relayed at a high gallop for about 10 miles before they ever got to us and now I had taken her back about another 5 miles. She had to start running out of gas sometime. I could see I was gaining ground on her, and that’s when it occurred to me that I just might run this mare down and get her and my rope. An underground gas line had been recently put in across the desert, and the mare ran down that. The ground was still bare and Bingo was faster so I caught up to her. Right when I reached over to grab my rope the mare hit a soft spot and down she went. I finally got Bingo stopped, and the mare was just lying there, breathing hard. I jumped off and grabbed my rope and when I rode up to her she was still lying there. I dallied up and gave her a little pull, and she jumped right up and tried to run again. I stopped her and then fooled around with her for 5 or 10 minutes and then started driving her back the way we had come. When she would try to take off and go the wrong way I would stop her and then get around her and start her in the right direction. She had stopped breathing hard by then so we went into a slow trot and made pretty good time heading back to camp. I could see the white Ford pick up in the distance so I headed for that. It was Brian and Archie. “Now that’s determination,” Archie said. Brian said, “I didn’t expect to see you until morning. And that was without the mare. You’re a hand, Billy.” Neither one said anything about me loosing my rope so I didn’t bring it up either. I would later untwist that rope and braid it into a 4 round mecate that I use to this day. I had made the cut. October was coming, which meant colder weather, so I had better start thinking of winter clothes. Someone had an Eddie Bauer catalog. This was before Eddie Bauer got so deep into the fashion clothes, and they were still selling good clothes for the outside customer. I bought a lineman’s goose down coat that was rated for -30 below that cost $150.00. I ordered some goose down gloves and a winter hat also. I’ve forgotten the price of those. By that time of the year we were gathering cattle and pointing them home for the winter. The cattle off the desert we would turn loose and let them work their way towards the Bull Head. The cattle from the higher country we would point towards the Meadows (also called Wild Bill’s). When we had 2,000 or 2,500 head at the Meadows we would make a 2-day drive and take them to Paradise Valley. On the first night we would camp in a real nice cabin that was owned by Les Stewart’s 96 ranch. I think it was called Heart’s Gravel, or maybe Hardscrabble. Late the next afternoon we would leave those cattle in a big field owned by the ranch, and that is where they would stay until we moved them home. I can’t remember the name of that field. Then it was to the Paradise Valley bar for the buckaroos. Quite often we would take the next day off and go to town. Town being Winnemucca. The bar had a little country store attached to it, and the whole shebang was owned by two married couples. The men had other business ventures going so for the most part the two wives ran the bar and store. We readily agreed to that. Since Archie was our elder statesman he took charge of the “book”. I woke up the next morning lying on the floor. There was another cowboy sleeping on the floor in the corner. One guy was on the pool table. Archie had taken the little couch that was there, but when I woke up he was up and making coffee. Now get this. On the way back to the wagon we would stop at the bar. But now each of us would write our name on an envelope and put what money we had in that envelope. We didn’t need any cash in the brush. That way if we needed something we would write it down and give it to Brian. When he went to the ranch he would stop at the store, drop off the lists, and on his way back pick up whatever was ordered. The money would be taken out of our envelopes, and it all worked just fine. The bad thing about the Circle A was the bar between the ranch and the wagon. The good thing about the Circle A was the bar between the ranch and the wagon. Figure that out. We moved the wagon to Quinn River and gathered Odell Mountain. There was cold and snow. There was a cabin there so I decided to stay in that instead of a tent. Alfred stayed in the cabin, and also a guy named Wiley. He didn’t stay with us very long. That cabin was filthy. Mice and their little droppings were everywhere. Alfred and I swept the place out, and then it wasn’t too bad. There was a big long table in that cabin, and that is what I threw my bedroll on. About 10 years later I was in the Elko museum with my wife and her parents. My mother in law was looking at some pictures of a cabin at a cow camp. Yikes, it was the Quinn River cabin. The table was the same but now there were throw rugs on the wooden floor and pictures hanging on the wall. Obviously that was no longer a buckaroo camp but a nice place for a married couple. We moved the wagon back to Calico so we could start reriding. It had snowed that night, and the next morning Brian told the cowboys to stay in camp and get shod up, and he and Nate and I would take 3 horses and the stock truck and go get a lame bull. Fish had left the wagon for awhile so I was the designated truck driver. That means I also drove the wagon. They jumped their horses out and went after the bull, and I drove the truck down to a cut in the road where I could back the truck into the ditch so the bull could walk right in. I was riding a horse called Red. For whatever reason, Clark called him Society Red, and Archie called him Soow-Syity. Don’t ask me why. When they got the bull down close to the truck Brian roped him around the horns. The bull was real gentle, and we put him in the truck with no trouble. Brian was concerned about loading the 3 horses with the bull so we snugged the bull’s head up close to the front of the rack and then ran the rope through the slats under his belly and then once again around and under his flanks. 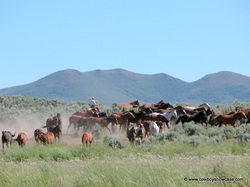 We dropped Nate and the 3 horses off, and then proceeded for about 10 or 12 miles so we could unload the bull south of Little Owyhee in the Antelope field. The truck didn’t have a loading ramp on it, or if it did, it didn’t work, so I slid the door open and jumped in with the bull. Brian just about had all the wraps off when all of sudden that bull let out a beller and jumped up and came at me. I spun around and jumped out of that truck, and when my 2 feet hit the ground I reversed myself and jumped under the truck. I looked up just in time to see that bull soaring over me, and when he hit the ground he kind of stumbled, then jumped up and ran off with Brian’s rope still on his horns. I was quite impressed with myself on my physical ability on how I escaped the bull and then my smarts on how I got under the truck and into a safe area. Truly, nothing short of a miracle. Brian was furious; he said I should have held my ground, or stepped aside and grabbed the hondo when the bull went by. Anything but let his rope get away. I never said a word, after all, I had just performed a miracle! There was a nice rock house at the Meadows with a wood stove in it. That was one of the few places that Brian would not pitch his tent. Archie and I set up in one of the bedrooms. One morning it was cold and the ground was frozen. I called for a big horse called Keno. Keno had bucked me off before when I was using that grazer bit with the one piece of leather for a rein. He just got his head down and pulled me over. However, this time I had my snaffle bit with a mecate. Keno was tight and was shifting sideways, so I stuck my spurs in him and he blew up. I had a rein in each hand and let him get his head a little more then half down, and I rode him easy. I got up one morning and was trotting down to the cavvy on the wrangle horse, Picaninny. I could see a black horse standing on the other side of the fence by himself. It turned out that Archie’s black mustang stud had been run through the fence. Luckily, he wasn’t cut anywhere. The gate was about a ¼ mile away in the wrong direction, and I had some trouble getting that horse to go the opposite way from where the cavvy was. We went up and down the ridge, but I finally managed to get him back in the cavvy without him running him back through the fence and him getting all cut up. Archie was very appreciative for the trouble I had taken to get his horse back. He was a fine gentleman to know. 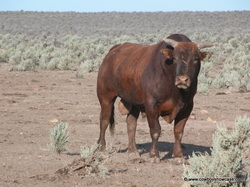 Nevada Garvery (who owned the Circle A) and Matador Cattle Company out of Texas came to a 5 year lease agreement. They came out to the Meadows that fall and told us the news. Jim Cross would be the ranch manager, and a young graduate out of New Mexico named Larry Angel would be the bookkeeper. Larry was alright. They told us all our jobs would be safe. We had been told by Texas cowboys that summer that the usual custom on Texas outfits was to lay people off when the work was done. Anytime new management comes in the old management usually leaves. That held true. The big 3 on the Circle A would not be there at the beginning of the year. That meant Larry and Brian were leaving. We brought the wagon into the Home Ranch the day before Thanksgiving. It was an old ranch house that was in pretty good shape. There was gas heat, a bathroom, and a huge kitchen. We had a nice Thanksgiving meal, and with the wagon parked we were now ranch cowboys. To this day I can’t remember roping a bull just to have something to rope. Sick bulls, yes-- they needed to be doctored. On a cold clear day in December we started 2,000 cows so they could winter on the west side of the Santa Rosas at a place called Davey Town. It took us 3 days and there was 5" of snow on the ground. On the first day Clark had to go in a pickup and show the feeder where to feed the cattle for the night. He would build a fire out of sagebrush and give us a drink of whisky when we rode to the fire. On the second day, as we were driving those cattle along US 93 people would stop their cars and take pictures of us. We loved it. I can guarantee you that never happened on the desert. I told the cowboys that we ought to quit being buckaroos and stay as ranch cowboys. Archie failed to see the humor in it. Sometime during that fall I accumulated 2 more mustangs. I can’t remember how. Maybe Brian had roped them and gave them to me when he left. I just don’t remember. Anyway, one night at the bar I sold all three horses to Archie for $45.00. It seems like we all went our separate ways for Christmas. When we came back the rumor was that Fish would stay for the winter as he knew all the feed grounds, but the other 4 cowboys would be laid off until March. Les Kimble, who was the cow boss for 12 or 14 years, lived in Paradise Valley, and his reply was that it looked like Fischer was going to have a busy winter doctoring all those cattle by himself. We ran 22,000 noses through the chute and finished just after the first of the year. Sure enough, Matador laid Archie, Alfred, Owen, and me off. They told us to come back the first of March and start turning out. I went to Elko and did what Archie had told me. I had $80.00 in cash with a $54.00 dollar car payment coming up on my ’71 Pinto. I had to go to work. I got a room at the Commercial and went down to the bar. I met Fritz Merrick and a guy named Jonesy. When they found out I had a room they asked if they could stay in it that night as they were broke and cowboy jobs were hard to find right then. I went up to the room about midnight, and they were passed out on the bed. They hadn’t even bothered to take their boots off. So my first night in Elko I slept on the floor of my own hotel room. The next night I stayed in an old Basque hotel that had a bathroom down the hall. It was located across the street near Capriola’s. On the third day I drove out to the YP and talked with Jerry. He couldn’t use me until March when he would need someone to calve heifers. “Is there anyone else around?” I asked. Bill Kane and the Spanish Ranch. I had never heard of either one but a new chapter in my young life was about to begin. Meanwhile, back to the Circle A. I never saw Archie, Alfred, or Owen again. I heard last month Archie died 5 or 6 years ago in Elko. May he rest in the arms of the Lord.